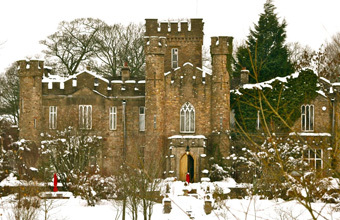 AUGILL Castle in Cumbria is available to be taken over completely and exclusively for an extraordinary house party this Christmas. A party of up to 20 adults and six children can have the run of the country pile, enjoying 15 acres of beautiful private gardens, opulent bedrooms, majestic public rooms, a cosy bar and even a vintage Art Deco cinema. All food is included along with wines, beers and soft drinks and menus will be designed to the party's specifications. The castle is available from the afternoon of Christmas Eve until the morning of December 27.